We've been lucky enough to work with not only great vendors for all the weddings we've done, but also amazing vendors that we've used for ourselves! We have used Lynn from The Inviting Company since the start and she is a true artist! She's created our logo, business cards, the cute labels above for water bottles and most recently the tote bags that we used for our pop up! Our Friday night was spent drinking rosé and putting on these labels...wild and crazy let me tell you! Jackie and I spent Saturday morning with one of our couples at their venue - the newly renovated Boston Park Plaza Hotel for their October wedding & right after that headed over to Valerie's studio to put together all the swag bags & try to get as much done the day before as possible!! We wanted to create an event for brides to come and truly get to know the vendors, talk with them - see what their specialties are and not be rushed from vendor to vendor! 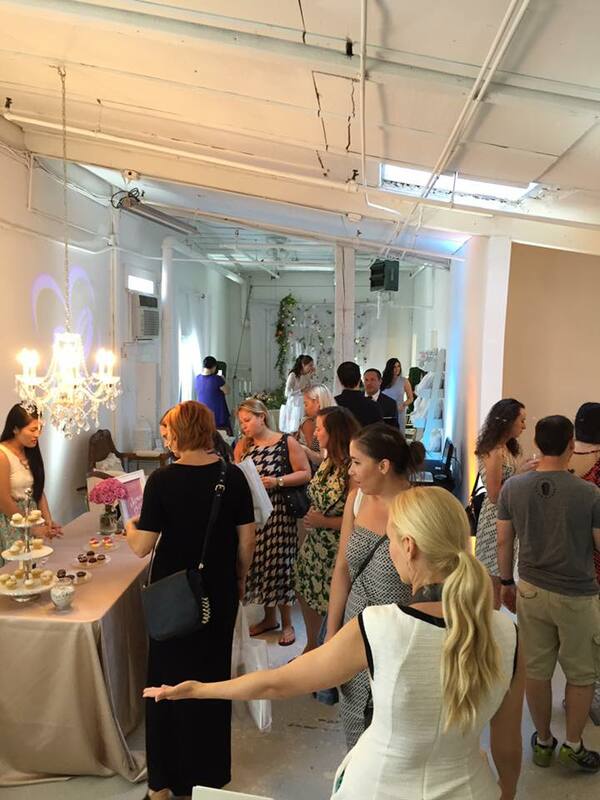 We kept it intimate and all the vendors enjoyed being able to really get to know the guests! It was such a treat to hear people saying how our event was so unique and that they were so happy to get the one on one attention from everyone! Carrie from Floral Lab had the most gorgeous set up - from a flower chandelier wall - that was the best photo spot we could have ever asked for, to flower crowns being made on the spot!! Our beautiful bride Ylan on the right and her friend! Stephanie from Horn Jewelers was such a fun vendor to have included in the pop up!! Who doesn't love to try on beautiful rings and bands!! The guys didn't think we'd have anything for them, little did they know they'd get to try some stuff on! I sadly wasn't able to get around to take photos of all the vendor set ups, but wanted to mention ALL the talented folks who made this event possible! I honestly don't know what I would do without this guy - he's dealt with all the stress like a champ (there may or may not have been a few side eye's thrown his way) & shows up to every single event we have!! And these ladies right here!! This event would not have been possible without Valerie - she's got an eye like you wouldn't believe - such a talent and we are honored that she partnered with us on co-hosting this FIRST (because there will be many more) bridal pop up! Without Jackie...well there wouldn't be a Bespoke Boston Weddings - love my business partner like a sister!! I'm so happy and super relived this weekend was a success!! Now onto the next event!! How was your weekend? Link up below to share! Looks so fabulous and such a success!! I bet the vendors loved working with you talented and lovely ladies!! Isn't it great to have a Mr. who has your back even when we are running around like crazy ladies but most importantly for him to support your dreams is priceless!! That floral set up is darling!! happy Monday! Your event looks amazing!!! So happy to hear that it went well!!! Hopefully you were able to enjoy the last bites of your Sunday and relax. What a beautiful event! I love the flower set up for pictures--everything looks so ethereal! What a great event and wow it looks beautiful with all the flowers. Congrats on a successful day! This turned out SO well!! I'm in love with that flower chandelier. I want one for my house. That's totally practical, right? ;) Congrats!!! Omg everything came out amazing and so gorgeous! Love the flower crowns! Congrats on an amazing event! What a beautiful event!!! I love love love that flower back drop! Sounds like you ladies had a great turn out and some happy guests!!! How exciting!! The event looks like it turned out beautifully. I love your flower crown. All the fun girly things!!! I loved following you on IG Story all weekend & seeing all the beauty of the weekend! I love that Gary comes to everything! Oh man, anything bridal I am soooo there for! This looks like so much fun and all your stories and photos were gorgeous! I was following along on Snapchat and the event looked like such a blast! The decor was gorgeous and all the stations were so cool! Y'all did such a beautiful job! I wish I lived in Boston!! Freaking love this! I LOVED following around on snap for this! Especially the rings! That was so fun to see all the different designs and combos! I love! Wishing you a wonderful monday! Yayyy!! I loved watching your snaps and it looked like a pretty awesome event- loved the flower crowns!! 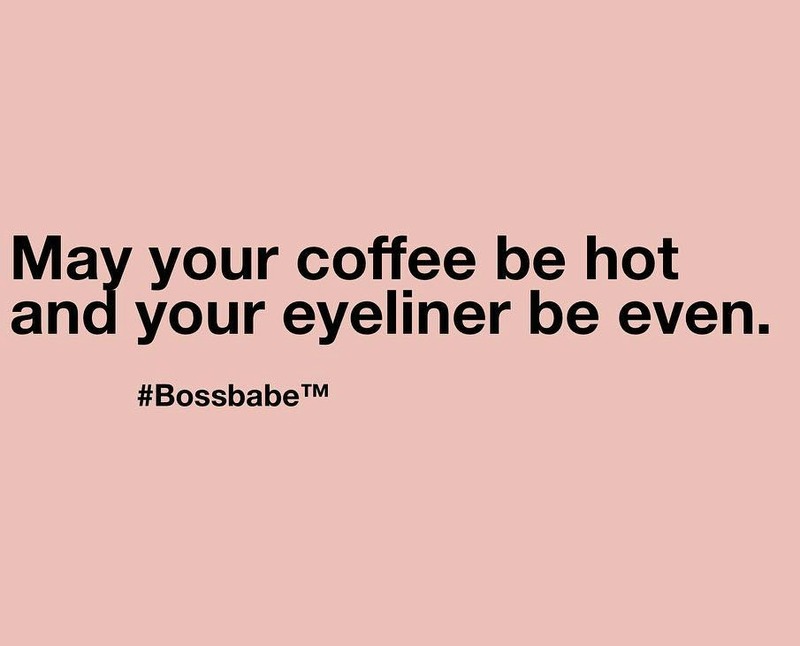 You really are a boss babe and keep up the good work! So pretty! I am hoping to catch a few snaps before they disappear! What a beautiful event and I'm so loving that flower wall. So happy for you! This looks like such an amazing event! I would have loved something like it when I was wedding planning. And how fun is that wall?! SO glad that your event turned out to be amazing! You can tell all of the hard work and planning that y'all put into your bridal pop up. It looked fantastic!! Congratulations, girl! Looks like such a beautiful time !! yay for such a supportive husband ! I love love love all the wonderful photographs ! XOXO Happy Monday ! Looks like such a beautiful event and I adore those floral headpieces! Congratulations on your pop-up!! It looks like the event was super fun and I love those engagement rings! I'm so glad to hear that everything went well! What an amazing event to put on for brides so they can get to know all the vendors in one place. I wish I would have had something like that! The flower wall and crowns are both gorgeous! WOW sounds like such a beautiful event and I'd say it was a huge success! The floral chandelier and setup is gorgeous and those rings!! Soo pretty! I'm sure you're feeling relieved now that all the planning is over and it turned out to be a great event. I'm so very happy for you!! I knew your event would be a success!! What a beautiful set up. Wedding planning can be so hard but I know you ladies take all the stress away. Yay for having such a wonderful hubby!! Love those floral crowns. Oh my goodness, everything looks absolutely amazing!! So gorgeous! What a dreamy event! I loved following along via snapchat. That flower wall is to dieee for and how gorgeous do you look in that flower crown!?? I LOVED following your snaps of the event- it looked absolutely amazing!! Congratulations on such a successful pop up! You are such a rockstar! Biana, the details are absolutely GORGEOUS, wow! I don't know if I've ever told you this, but the very name of your business embodies success, as it has an authoritative voice and name. I know if I were a bride, you'd be the first company I'd contact and I'm not just saying this b/c you're my blogger babe. It just gives off the notion that you know what you're doing and I know that it's a fact! That said, your logo is beautiful and like I mentioned, I love the details like the floral chandelier wall and headpieces. I truly wish you MUCH growth and success, I honestly can envision it being the go-to wedding source in Boston. Thanks so much for sharing a recap with those of us who couldn't attend, I really wish I could've stopped by and support! I hope you have the most amazing week ahead, gorgeous! I feel like I saw some of this on Instagram Stories. Looks like such a fun weekend! Yay! I knew everything would be absolutely stunning, you guys have such an eye for detail and I LOVE it! You guys had a great turnout...so happy for y'all! I always dreamed of being a wedding planner, so I'm a little jealous that you get to live out your dream, but I'm so happy for you! I also loved that you took us behind the scenes on Snapchat...so fun! I hope you got a bit of relaxation in last night and wishing you an easy Monday! Biana, you know how to put on a gorgeous event girl!! So happy I made it & thank you for sharing my photo :) I am still thinking about how beautiful that crystal and flower wall was!! Have a great Monday beauty! Such an inspirational post especially as I'm getting married in 14 weeks! Really beautiful inspo and love the flower crown! Those rings are so gorgeous. WOW! That event looked amazing, I wish I lived in the Boston area. However, I am getting married and I would love your expertise! Have a fabulous Monday! Congrats on your first successful pop up event! The space and all the details were absolutely gorgeous - including all you ladies! It all looks fantastic! You did such an amazing job. Congrats! What a beautiful wedding weekend Biana. You are looking amazing too in my favorite dress you own. I love all the rings and all the flower crowns. Beautiful ladies! Have a great week! <3 Ada. What a GORGEOUS event! You have quite the talent. Hope you are able to get a little rest in before your next event! All these photos are so beautiful! All the little touches that you guys put in are great and the event looks like it was completely perfect! I hope you're celebrating!! I'm obsessed with all the pretty details of this bridal pop up! I wish I lived in Boston so I could have attended (even though my wedding is long over with now). Those flower crowns are so gorg and holy bling bling with those rings!! Glad the event went so well and hope you much success in future pop up's!! You guys outdid yourselves! What a beautiful event. And those flower crowns are fabulous. I'm so glad to see that was such a success! All these pictures are just wonderful, well done! The floral wall is AMAZING. It looks like a fabulous event. Congratulations!! Just beautiful, Biana!! That flower backdrop is to die for! I'm glad everything went so well! Looks like such a fun and beautiful event. I would have loved to try on all of those rings too!!! Such a beautiful event. You look gorgeous! Love all of the beautiful pics! I especially LOVE the quote!! What a beautiful event! (Loved following along on Snapchat.) You looked gorgeous, lady! Congrats! This looks like so much fun!! I would die to have all those rings on at once! The event looked beautiful and all the vendors look amazing. Those rings are incredible and I am a sucker for the flower crowns! What a great event, all of the decor looks beautiful! I would have loved to try on all those rings. I've said it before but girl, your SKIN! Your hair! You absolutely glow! I'm so grateful to hear the pop up event went so well :) you guys killed it!!! Wow you guys did such amazing job! Everything looked so beautiful. Congratulations Biana! Biana, this is SO COOL! I'm fascinated by this. I only started following your blog a couple months ago, so I'm a bit behind - Do you own a bridal shop, or are you an event planner? I'm so curious! The event looked so stunning, Biana! I am so glad it was such a success! oh wow look at all those pretty rings.. I loved following along with your pop-up prep and the event on snap!! You ladies did an AMAZING job and definitely had some fantastic vendors there. I especially love the flower wall. Have a great week! Congrats on your successful event!!!! It all looks beautiful! Big congratulations on your event!!! It looks amazing and if I were a bride I would be there in a heart beat! What a fun event!! Trying on all those beautiful jewels would be so fun! Congrats on a successful event! Everything looks beautiful! I love the flower chandelier and crowns! I'm so glad that the event went so smoothly! Everything turned out so beautiful, and that's awesome that there was even somebody making flower crowns! I know that if I was a bride I would have loved to attend your event to get to know some vendors! I loved following along your snaps! Everything looks absolutely amazing and I'm glad it was such a success. You put a lot of hard work in to it and it totally paid off, Congrats! Congrats on this event. It looks really amazing. I love bridal pop ups! I watched all the pop-up madness on Snap- SUCH a success! Congrats, lady- you guys nailed it! This was absolutely amazing! Everything was just gorgeous. Congrats on a successful pop-up! YES! I've been so excited to hear about this! It looks and sounds like a huge success! You deserve a BIG congratulations! Wonderful! Everything looks beautiful! Congratulations! oh my goodness, B! i loved following along on snapchat, this seriously looked like such an amazing event. i went to one bridal show type thing when i was getting married, and i've done a few with my hairdresser bestie (as a vendor) and they really can be so chaotic and not one-on-one at all, so this truly looks amazing and unique. congrats!! One huge regret I have with wedding planning, is that I didn't go to fun bridal pop ups or events. It's a little too late now, as we only have a little over a month, but still I think would have loved to go to one. This looks like so much fun! I knew it would turn out great!! Congrats, lady!! Those rings are gorgeous! One of my staff members just got married and she's got the most gorgeous rose gold ring. I loveeee that look!! You guys did such an amazing job! I can't get over how fun it would be to make floral crowns-- I love all of the details, down to the water bottle labels and gift bags!